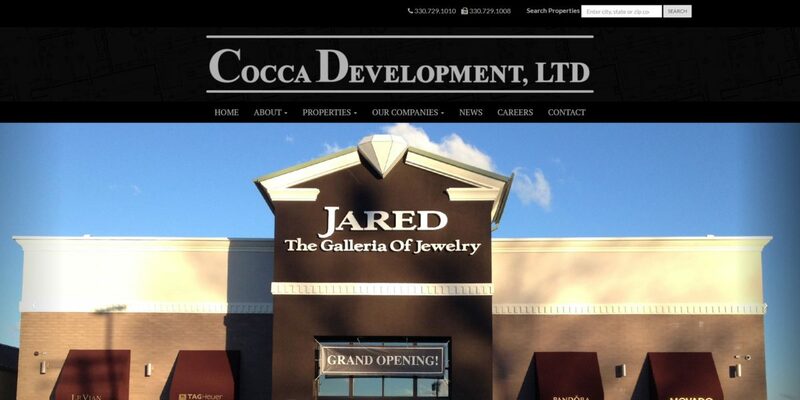 Cocca Development, headquartered in Boardman, Ohio, with a satellite office in Sarasota, Florida is a real estate development and management company engaged in the development, ownership, leasing, operations and management of both residential and commercial real estate. The company’s properties are located in 25 states, coast-to-coast from Maine to California and south to Florida. Farris created a new website for the firm and its various subsidiaries. 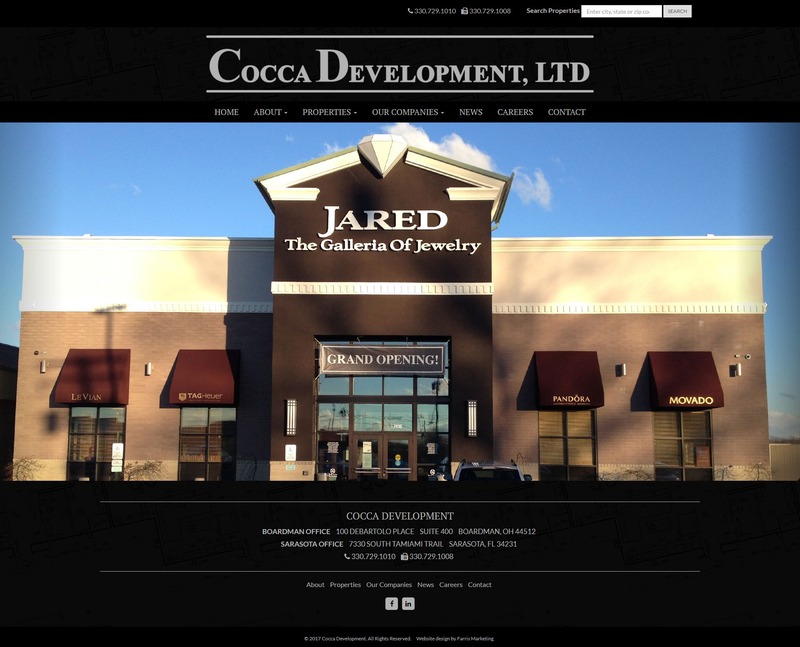 It is elegant in design and features a photo gallery of all of Cocca’s residential and commercial properties, as well as a Property Locator that allows visitors to the site to select and view these properties based on criteria they enter.